1. In a food processor, blend persimmons until smooth. Remove half of the mixture in a bowl and set aside. 2. In the food processor with half of the persimmon mixture add the blueberries and blend until smooth. 3. 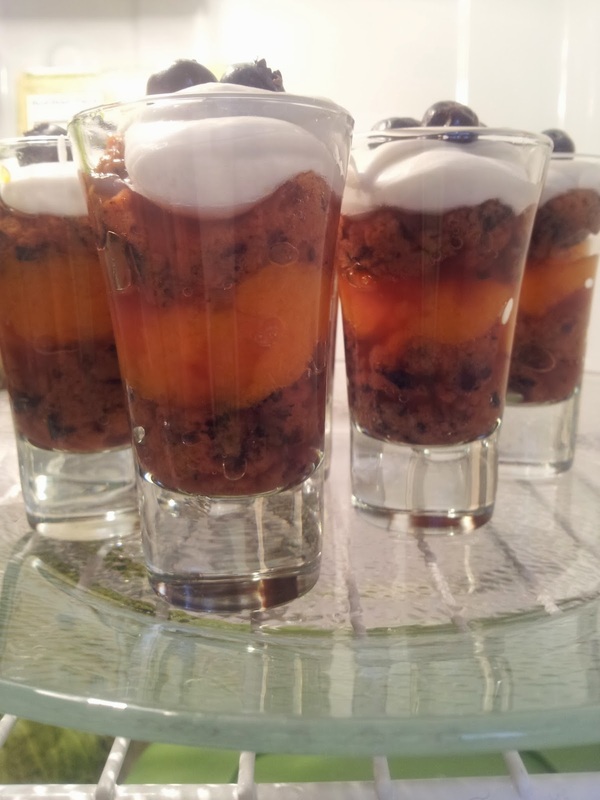 Layer first using blueberry persimmon mixture, next the persimmon and the top layer blueberry persimmon mixture. I topped each parfaits with coconut whipped cream and 3 whole blueberries for garnish.